A STITCH IN TIME Daniel Day-Lewis plays an a arrogant designer who meets his match in Vicky Krieps. 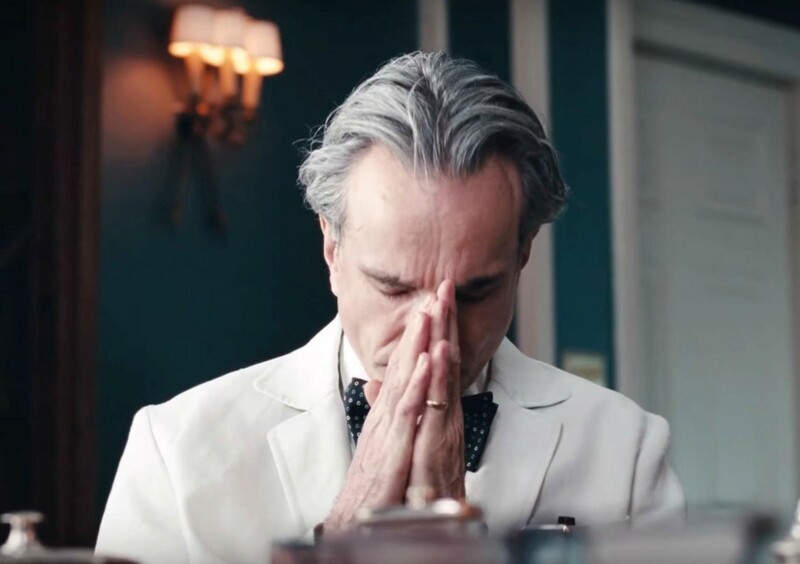 If the job of a film is to immerse you into another world, its customs, its music, its glitter and its rottenness, Paul Thomas Anderson's The Phantom Thread fulfills its mission beautifully. It's worth the journey to San Francisco to see The Phantom Thread in 70mm, to admire the texture of Anderson's version of the past, using location work rather than digital images. There hasn't been a film in a long time—Michael Caton-Jones' Scandal from 1989 might be the last—that conjures up the underside of post-war English luxury. Here, England is a nation balanced between a pair of shocks: first, the trauma of WWII, and second, the youth rebellion of the early 1960s. Soon will come the Beatles and their kind, all refusing to take these stiff courtiers as seriously as they took themselves. The antagonist, Reynolds Woodcock (Daniel Day-Lewis), is the kind of arrogant solitary man they used to call a "confirmed bachelor." He's a celebrated but haunted designer who lives with his formidable sister Cyril (Lesley Manville), whose main attribute is a pair of half-glasses that she stares through at her social inferiors. A waitress of mysterious Germanic heritage has her eyes on Woodcock. Charmingly clumsy, and with an uncontrollable blush, Alma (Vicky Krieps) notes Reynolds' immense breakfast order. Then she gives up her requested phone number, dedicating the note "to my hungry boy." Phantom Thread isn't as narratively sturdy as the great gothics. If Cyril, with her man's name, is analogous to Judith Anderson's Mrs. Danvers in Rebecca, and if Day-Lewis, with his aquiline profile and matinee-idol widow's peak, recalls Laurence Olivier, it's Alma who remains an attractive and underwritten mystery. She is, however, a fine, covert love object, and Alma does come up with a drastically crafty way of landing the man she loves. Despite Anderson's distractingly clumsy tale-telling, the film is one of his best. 'The Phantom Thread' is playing at Summerfield Cinemas, 551 Summerfield Road, Santa Rosa. 707.525.8909.